ONLY the bravest men and women line up at the start line of a motor racing event. So it was at this weekend's popular Wondai Street Sprints. 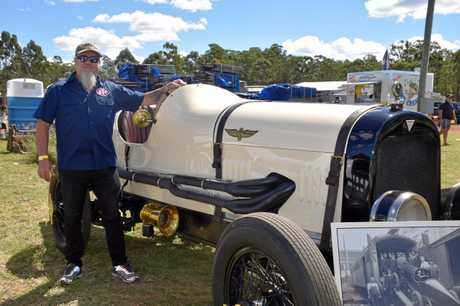 Performance vehicles of all shapes and sizes, new and old wowed the large crowd with their loud engines and super speeds. 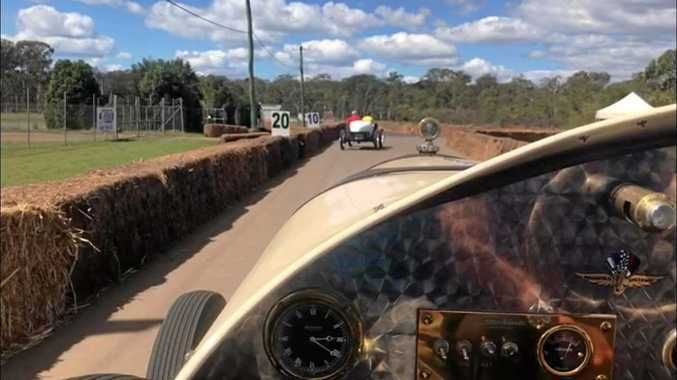 So when the opportunity arose to enjoy a lap in the passenger seat around the Wondai Street Sprints' track, this apprehensive journalist grabbed the opportunity with both shaky hands. Well, with one hand. The other hand was on the video camera. The vehicle in the video is a 1917 Hudson. It is a tribute to the Hudson Super-six racing special. Only four of which were ever made in the world. Enjoy this virtual lap of the Wondai Sprints, but be warned. You will feel like you are right there in the passenger seat.